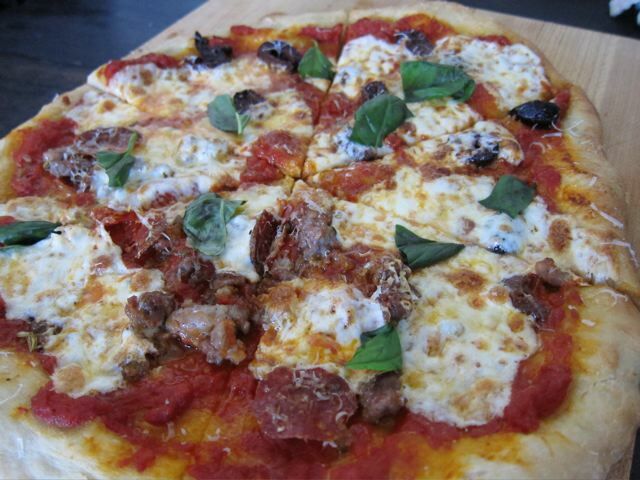 Here's a fool proof recipe for pizza dough. It's very easy, it rises in the fridge over night. I got canned tomatoes, mozzarella and sausage from Faicco's. Tracy and Kat came over and we enjoyed the Jets victory.